It’s weird to think that about 3 years ago I was writing a very similar blog post about this new local band who I chartered as the next big thing whom I’d seen live once, heard a handful of songs and had found out about them via that segment on Sunday Brunch where they show 1 minute of a music video before the ad break. Back then that band was Blossoms (I mean what are they doing apart from having a no.1 debut album and sell out shows around the world…) and now several years later the band I’m chartering for the dizzying heights is Liverpool sextuplet Red Rum Club whom I have seen live once, obsessively played their debut album and found out about from an Instagram story by blogger Megan Ellaby. I'm not saying I'm great at finding brilliant bands but... I'm great at finding brilliant bands. 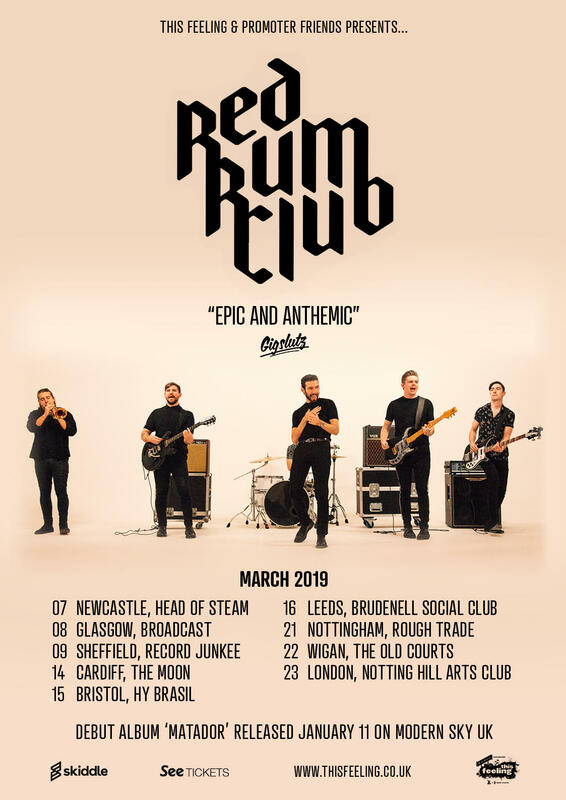 Last Friday I went to a sold out ‘Big in 2019’ This Feeling show at the Night and Day Café purely since RRC were playing, I knew nothing about them bar this incredible album I had merely fallen upon, but I knew this was an event I couldn’t miss out on. So, after playing the album a multitude of times (the up-tempo tracks make for a great gym playlist) I googled when they would be playing in Manchester and was pleased to see they were performing in the coming week at The Night and Day, however, the gig was sold out… So, what did I do? I used the magic of social media to find me some tickets. My tweet was retweeted several times until I got into contact with a charming gentleman named Hugh, turns out he’s the charming Irish front man of King Kartel, and he gave me two tickets to the sold-out gig… as long as I came early and went to see them as well of course. Of course. But anyway, I’m getting side-tracked, this is a post about Red Rum Club and not the gig (although everyone on the line-up was superb!). RRC can be described as channelling ‘Tarantino-esque’ wild western vibes with a lone trumpet player, fast tempo and mariachi style guitar playing. Although I couldn’t help but make comparisons to Alex Turner from Arctic Monkeys or Miles Kane. The front man Fran Doran, impressively commanded the stage, he crooned through the songs with a Liverpudlian twang, with the same energy and voracity from start to finish. But it wasn’t all about him, this is a band that although their sizable number (the stage was pretty full) played together succinctly and the musical nuances of the tracks had your attention on all elements and all members. Melodically addictive, after one listen of the album I already had several of the tracks going around my head, this aided by the anthemic, sort of football chant notion (repetition of phrases, a chorus of voices) of songs like Remedy and Calexico… although we won’t mention which team they support. Brilliantly each song has an individuality, you often can get with some new artists the habit of repeating the recipe that works, write a few tracks with a similar melody or phrasing that works on the Eps and then repeat this 11 times when they come to writing an album. RRC are not just any new band, within the first few seconds of each RRC track you can differentiate it from the rest of the album. They have an individuality that puts them apart from upcoming indie bands and puts them alongside the like of Blossoms and AM who are paving the way for indie and the music industry as a whole. Hey, Charlie and Tom from Blossoms were even at the gig on Friday so they must be doing something right. 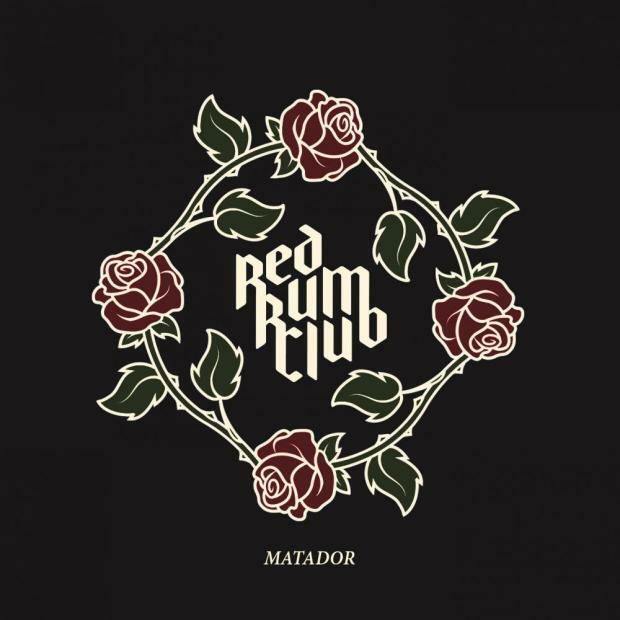 Their debut album Matador is out now on Modern Sky UK, available to stream and download on all the relevant platforms and they are heading on tour this March so I insist you buy tickets now!